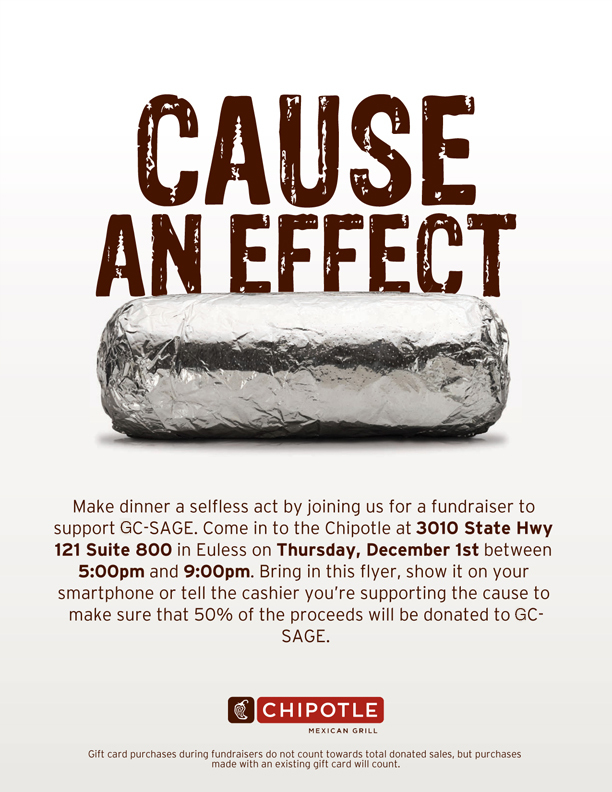 Make dinner a selfless act by joining us for a fundraiser to support SAGE! Come to Chipotle in Euless (Highway 121 and Glade Rd.) on Thursday, December 1 from 5 PM – 9 PM. Bring the flyer, show it on your smartphone, or tell the cashier you’re supporting SAGE to make sure 50% of proceeds will be donated to SAGE. Thank you!